Arachnoid cysts are cerebrospinal fluid covered by arachnoidal cells and collagen that may develop between the surface of the brain and the cranial base or on the arachnoid membrane, one of the three meningeal layers that cover the brain and the spinal cord. Arachnoid cysts are a congenital disorder, and most cases begin during infancy; however, onset may be delayed until adolescence. Arachnoid cysts are relatively common benign and asymptomatic lesions occurring in association with the central nervous system, both within the intracranial compartment (most common) as well as within the spinal canal. They are usually located within the subarachnoid space and contain CSF. On imaging, they are characterised as well circumscribed cysts, with an imperceptible wall, displacing adjacent structures, and following the CSF pattern (hypodense on CT and hyperintense on T2 with FLAIR suppression on MRI). They can also have a remodelling effect on the adjacent bone. Arachnoid cysts are cerebrospinal fluid-filled sacs that are located between the brain or spinal cord and the arachnoid membrane, one of the three membranes that cover the brain and spinal cord. Primary arachnoid cysts are present at birth and are the result of developmental abnormalities in the brain and spinal cord that arise during the early weeks of gestation. Secondary arachnoid cysts are not as common as primary cysts and develop as a result of head injury, meningitis, or tumors, or as a complication of brain surgery. The majority of arachnoid cysts form outside the temporal lobe of the brain in an area of the skull known as the middle cranial fossa. Arachnoid cysts involving the spinal cord are rarer. The location and size of the cyst determine the symptoms and when those symptoms begin. Most individuals with arachnoid cysts develop symptoms before the age of 20, and especially during the first year of life, but some people with arachnoid cysts never have symptoms. Males are four times more likely to have arachnoid cysts than females. Typical symptoms of an arachnoid cyst around the brain include headache, nausea and vomiting, seizures, hearing and visual disturbances, vertigo, and difficulties with balance and walking. Arachnoid cysts around the spinal cord compress the spinal cord or nerve roots and cause symptoms such as progressive back and leg pain and tingling or numbness in the legs or arms. Diagnosis usually involves a brain scan or spine scan using diffusion-weighted MRI (magnetic resonance imaging) which helps distinguish fluid-filled arachnoid cysts from other types of cysts. Arachnoid cysts are benign cysts that occur in the cerebrospinal axis in relation to the arachnoid membrane and that do not communicate with the ventricular system. They usually contain clear, colorless fluid that is most likely normal cerebrospinal fluid; rarely, they contain xanthochromic fluid. Arachnoid cysts are cerebrospinal fluid-filled sacs that are located between the brain or spinal cord and the arachnoid membrane, one of the three membranes that cover the brain and spinal cord. Primary arachnoid cysts are present at birth and are the result of developmental abnormalities in the brain and spinal cord that arise during the early weeks of gestation. Secondary arachnoid cysts are not as common as primary cysts and develop as a result of head injury, meningitis, or tumors, or as a complication of brain surgery. The majority of arachnoid cysts form outside the temporal lobe of the brain in an area of the skull known as the middle cranial fossa. Arachnoid cysts involving the spinal cord are rarer. The location and size of the cyst determine the symptoms and when those symptoms begin. Most individuals with arachnoid cysts develop symptoms before the age of 20, and especially during the first year of life, but some people with arachnoid cysts never have symptoms. Males are four times more likely to have arachnoid cysts than females. Patients with arachnoid cysts may never show symptoms, even in some cases where the cyst is large. Therefore, while the presence of symptoms may provoke further clinical investigation, symptoms independent of further data cannot—and should not—be interpreted as evidence of a cyst’s existence, size, location, or potential functional impact on the patient. Cysts in the suprasellar region in children have presented as bobbing and nodding of the head called bobble-head doll syndrome. Cysts in the left middle cranial fossa have been associated with ADHD in a study on affected children. A patient experiencing a headache does not necessarily have an arachnoid cyst. In a 2002 study involving 78 patients with a migraine or tension-type headache, CT scans showed abnormalities in over a third of the patients, though arachnoid cysts only accounted for 2.6% of patients in this study. A study found 18% of patients with intracranial arachnoid cysts had non-specific headaches. The cyst was in the temporal location in 75% of these cases. Arachnoid cysts are usually asymptomatic. That means they don’t tend to produce symptoms. As a result, most people who have an arachnoid cyst don’t realize it until they’re examined for other issues, such as head injuries. If you develop these symptoms, contact your doctor. The exact cause of arachnoid cysts is not known. Researchers believe that most cases of arachnoid cysts are developmental malformations that arise from the unexplained splitting or tearing of the arachnoid membrane. In some cases, arachnoid cysts occurring in the middle fossa are accompanied by underdevelopment (hypoplasia) or compression of the temporal lobe. The exact role that temporal lobe abnormalities play in the development of middle fossa arachnoid cysts is unknown. There are some cases where hereditary disorders have been connected with arachnoid cysts. Some complications of arachnoid cysts can occur when a cyst is damaged because of minor head trauma. 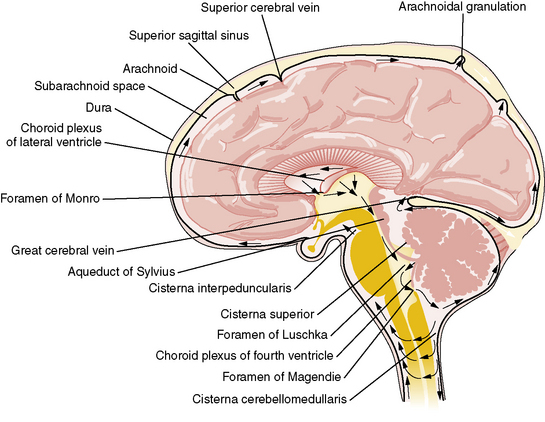 Trauma can cause the fluid within a cyst to leak into other areas (e.g., subarachnoid space). Blood vessels on the surface of a cyst may tear and bleed into the cyst (intracystic hemorrhage), increasing its size. If a blood vessel bleeds on the outside of a cyst, a collection of blood (hematoma) may result. In the cases of intracystic hemorrhage and hematoma, the individual may have symptoms of increased pressure within the cranium and signs of compression of nearby nerve (neural) tissue. Some scientists debate whether arachnoid cysts are a true congenite condition or if this should be separated from secondary cysts. A recent study shows differences in communication between the arachnoid cyst and the subarachnoid space by CT cisternography . A comparison of arachnoid cyst fluid and CSF in a series of patients show differences in chemical composition. Arachnoid cysts can also occur secondary to other disorders such as Marfan syndrome, arachnoiditis, or agenesis of the corpus callosum. Arachnoid cysts are most common in children. They’re more likely to develop in men than women, reports the National Organization for Rare Disorders. Additional clinical assessment tools that can be useful in evaluating a patient with arachnoid cysts include the mini-mental state examination (MMSE), a brief questionnaire-based test used to assess cognition. Untreated, arachnoid cysts may cause permanent severe neurological damage when progressive expansion of the cyst(s) or bleeding into the cyst injures the brain or spinal cord. Symptoms usually resolve or improve with treatment. Surgical placement of a cerebral shunt. An internal shunt drains into the subdural compartment. A cystoperitoneal shunt drains to the peritoneal cavity. Various endoscopic techniques are proving effective,including laser-assisted techniques. Drainage by needle aspiration or burr hole. Pharmacological treatments may address specific symptoms such as seizures or pain. Arachnoid cysts are benign, and the vast majority remain asymptomatic throughout life. If they are deemed to be causing symptoms, then surgery can be contemplated. This can either take the form of a craniotomy (fenestration or excision) or placement of a cystoperitoneal shunt. There has been active debate about how to treat arachnoid cysts. The need for treatment depends mostly upon the location and size of the cyst. If the cyst is small, not disturbing surrounding tissue, and not causing symptoms, some doctors will refrain from treatment. In the past, doctors placed shunts in the cyst to drain its fluid. Now with microneurosurgical techniques and endoscopic tools that allow for minimally invasive surgery, more doctors are opting to surgically remove the membranes of the cyst or open the cyst so its fluid can drain into the cerebrospinal fluid and be absorbed. If you have an arachnoid cyst in your brain that’s causing symptoms, your doctor will likely drain it. They may recommend one of two procedures. In the first procedure, they will make a small incision near the cyst and insert an endoscope with a small camera on the end. They will use this endoscope to gently open the cyst, allowing the fluid inside to drain into your CSF system, where it will be redistributed through your body. This procedure is called fenestration. In the second procedure, your doctor will insert a shunt into the cyst. This will allow the fluid inside to drain to another part of your body, such as your belly.